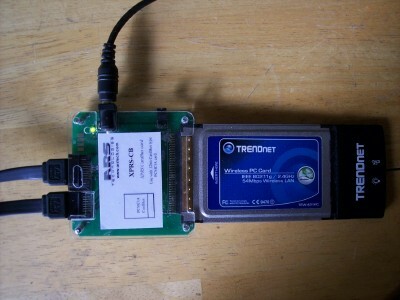 The XPRS-CB connects with one of our XRPS-HOST-.. cards, and allows using of 32bit PCMCIA 'CardBus' type peripheral cards outside of a computer system. 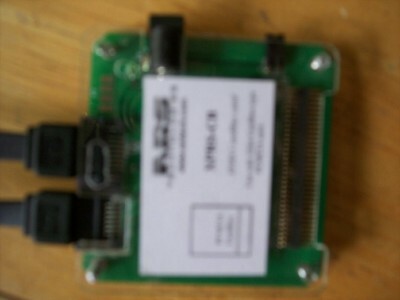 The image shows XPRS-CB product, cables coming from XRPS-HOST-.. card, and one 32bit PCMCIA 'CardBus' type peripheral card. 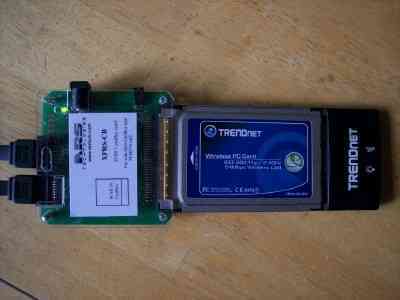 16bit PCMCIA 'PC Card' type peripheral card is not supported. 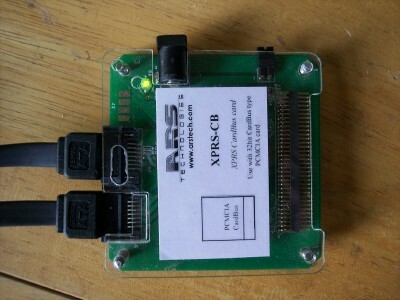 There are 2 ways to connect the 2 cables to the connectors on XPRS-CB. When the host system is a notebook, and the operating system supports ExpressCard slots, you can dynamically insert/remove 32bit PCMCIA 'CardBus' type card on XPRS-CB. 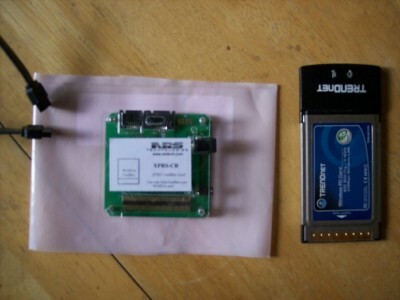 PCMCIA 'CardBus' type cards use 3.3V for powering. Specific cards may have high current consumption, beyond the amount of current provided through the cables. In such case, you can connect our PWR-3V product, to supply high current on 3.3V . The power jumper may need to be removed - please check the User's Guide .pdf, the chapter on XPRS-CB, for details.